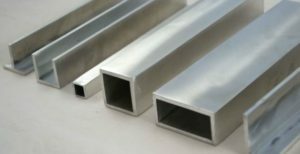 Aluminium is one of the most commonly used materials around the globe, being corrosion resistant, an excellent conductor of electricity and weighing only ⅓ of equivalent steel. Mostly used in transport, construction and packaging, aluminium is traded around the globe in both developed and developing countries. The price of aluminium fluctuates depending on current conditions within its main industries, and is therefore susceptible to a wide variety of external factors. One of the most common factors affecting aluminium prices is the demand for electricity in any given region. The smelting process used to manufacture aluminium requires great amounts of energy, and changes in electricity prices will directly affect the cost of aluminium. This can lead to smelters relocating or even shutting down completely. In developed countries, transport is the biggest market for aluminium, most notably in automobiles and aerospace. Advances in new, lighter materials and their availability will eventually see a decline in the demand for aluminium and subsequently its price. Aviation companies are currently expanding their use of new carbon fibre composite materials, aiming to reduce their aluminium usage from 50% to 20%. This will undoubtedly have a profound effect on the aluminium market. The second largest industry for aluminium is the building and construction market, where demands in developing countries are still very high - aluminium accounts for up to 30% of building materials here. The erratic nature of the building industry influences the price of aluminium, as construction growth raises the price and construction shrinkage reduces the price. Despite aluminium relying on such variable markets, prices for this material are at an all time high. Production stocks are the lowest they have been in decades, and intense construction activity in countries like India and China have raised the demand for aluminium considerably. This trend is also apparent for other metals such as copper, zinc and lead. Due to the global consumption and production of these materials, prices for the raw materials are extremely susceptible to changes in economies and exchange rates. Recessions, the rapid growth of China’s economy and the gradual fall of the dollar are all factors that cause the price of aluminium to fluctuate over time. For such a global commodity, it comes as no surprise that the price of aluminium is as variable as the places it is manufactured and sold. Prices are more stable in developed economies, yet as long as it is used in the giant industries of global transport and construction, its price will be inevitably tied to current market fluctuations.